I keep a jar of dehydrated mushrooms in the larder. I often need them for cooking, but living in the country, I don't always have they luxury of running to the store to pick up fresh mushrooms and often the selection is limited. 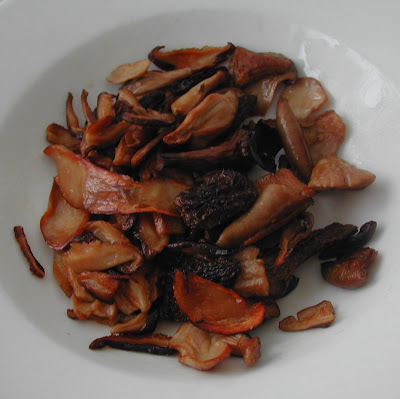 Here's a tip for rehydrating mushrooms, or anything else you need to plump up. This is ideal to begin in the sink as there will probably be an initial overflow of water. 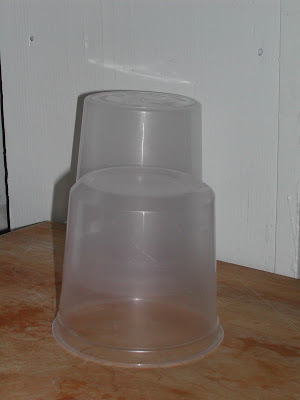 Get two similar containers that nest. I like to use those tall plastic containers soup is often packed in. Take one container and add the dry mushrooms. 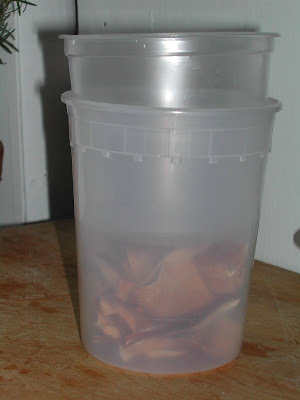 Now insert the second container on top to establish a fill line which is just over the dried mushrooms. 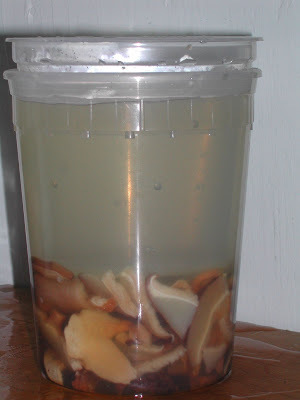 Add water to about the same level as the dry mushrooms, at which point they will float to the top. Fill the second container with water. The weight of the water hold the top container down, which in turn keeps the mushrooms submerged so they will rehydrate evenly. In the end you have plump mushrooms with little hassle. I wonder if you have morre ideas to cook mushrooms.